GEEFUNDING LAUNCHES PLEDGE FUND-RAISING PORTAL - PrBuzzer.Com :: Press Release Distribution and Business Directory. GeeFunding has revamped his website, redesigned specifically for people with a dire need for financial assistance, via pledge donations, says Godwin E. Enogieru, CEO of GeeFunding, Inc.
“GeeFunding.Com is today the new crowd-funding for all,” said Mr. Enogieru, who believes the new online platform for Pledge fund-raising, a crowd fund raising portal for just cause charitable donations and or creative projects, will become the new wave of the future for raising just-cause charitable donations or capital to fund variety of projects. 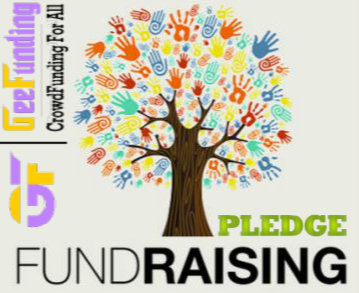 According to the Pledge Fund-Raising spokesperson, the new national and international crowd-funding website is the “must go-to” platform where anyone can raise money for just cause charitable donations, small business startup, creative projects, film production, music project, art works, charity, education and much more. Whether an individual, a non-profit organization, or community group raising money to support a natural disaster victim, or someone who lost a relative, family member in need, among other things, the new GeeFunding.Com website, according to its owners, provides the newest and scalable cheapest crowd fund raising portal for just cause, charitable donations and creative projects. “No matter what you are raising money for, you can start today with GeeFunding.Com,” said the Pledge fund-raising or Just-Cause charitable spokesperson. “GeeFunding is a new way to raise charitable pledge donations, creative Campaigns and just-cause donations, and our platform is open to all kind of funding campaigns,” said the spokesperson, who believes a good idea, communicated well, can spread fast and wide. It is said that large group of people can be a tremendous source of money and encouragement to those in need, the GeeFunding spokesperson said the platform is powered by both a unique “flexible” and “fixed” payment method that takes into account everyone’s unique situation. Flexible – Keep it All funding method, the fund raising campaign owner collect whatever money his or her fund-raising campaign generate regardless whether the campaign is fully successful or not. This is most popular in the crowd-funding industry.